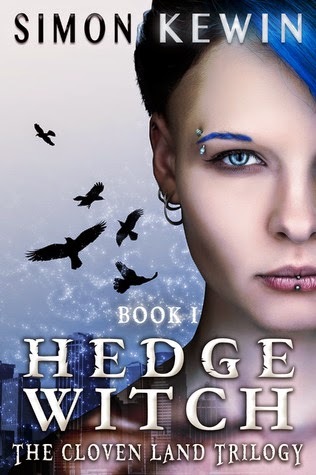 I received a copy of this book as part of the Hedge Witch blog tour organized by Xpresso book tours. This review is my honest opinion of this book, and is not influenced by the fact that it was provided as part of a book tour. First of all I want to thank Xpresso Book tours for the change to review this book. Unfortunately I did not finish the book in time to put up my review on the time I should, making me a day late. For those who have been waiting for my review, I am extremely sorry you had to wait this long. So I decided to make this review extra special! At Manchester Central Library she’s caught up in sudden, horrific violence. In the chaos she’s handed an old book that’s been hidden there and told to run, hide the book or destroy it. It contains all the secrets of the undains’ existence. They and their human servants want to find that as much as they want Cait. What’s more, she learns that the fate of two worlds is at stake here. Just what she needs. This book was not at all what I expected it to be, the synopsis doesn't do it justice (not that I could write a better on myself), in a good way. There is way more to this book then the synopsis lets on, this books is set in both the modern world and in the other world: which is cut in half by the river An. One side is the land Andar, the other side is the land of the "Undain" Angere. Part of the story is told by two of the witches of Andar, Hellen and Fer. Their world intrigued me, it lured me in, it was like I walk right back into Middle-Earth or Alagaesia. Worlds I miss and haven't visited in a while. I took me a while to find the connections in the story, the master plan and how the worlds work. It was interesting, it is an exciting thing when you first enter a new world, without know what you walked into. Fer, Ran and Johnny Electric set out for this world, Cait's world , but their travel is not without many obstacles. With them also traveled another interesting companion, an Archaeon, a bookworm, he made quiet an interesting character, he reminded me of another riddle speaking creature but I am not sure from which world. The fight agains evil has started and it is a wild ride, exciting, interesting and lovely. This book is action-packed from beginning until the end, without a pause to breath. I devoured this book and I am very glad that I have signed up for the book tour! What made me decide to sign up for this book tour was the pretty cover, ain't it beautiful? Also the fact that it said witch on the cover caught my immediate interest. I love books with witches and haven't read many lately. If you love stories like those of the masters of Fantasy, you might also like this one, even though this world is not as complex as that of for example Alagaesia, but it has a lot of similar elements in it. I can tell you that if you like urban and epic fantasy you will surely love to read this. This book was fantastic! Great world-building, great realistic characters and very original. She charged at the creature. She still carried her school textbooks. Uselessly, not really knowing what she was doing, she tried to batter the monster with English Literature. "It really exists?" Of course. Sung unceasingly at Islagray for years uncounted. Andar itself given voice. The spirit of the land. The beauty of it, the life and death of it." " I would be allowed to hear?" "Spring always follows winter," Fer said. "True. But the winter doesn't care who lives through it and who dies." There is a scene in this book, where Cait is caught by Genera, the humans that work for the undain. This song, it fits the scene, the purpose, the business, and the machines.